I mean does that first photo make your heart skip a beat, or what? 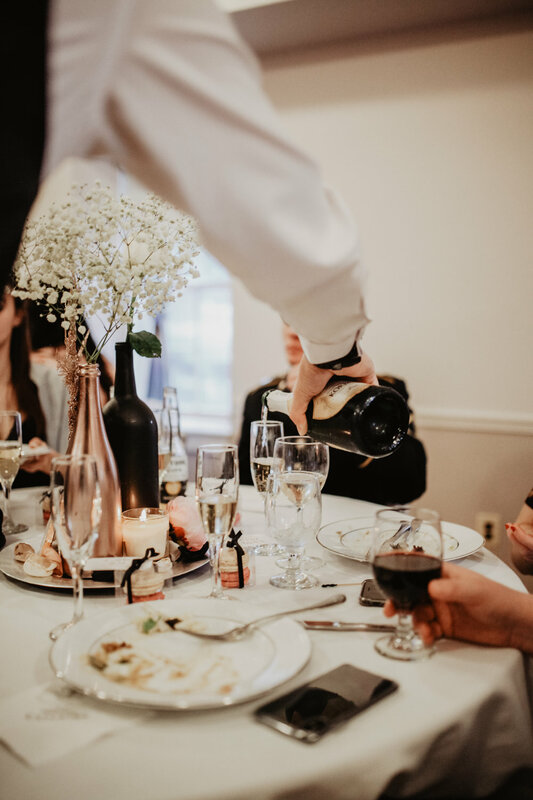 After a busy fall wedding season we were really looking forward to taking the month of December off in order to prepare for the holidays and to just be with family. Well, that all changed when we heard from Annika, who reached out asking our availability for December 30, 2017. She explained that her fiancé is in the Military, and that she would just need us for a few hours for her small intimate wedding. 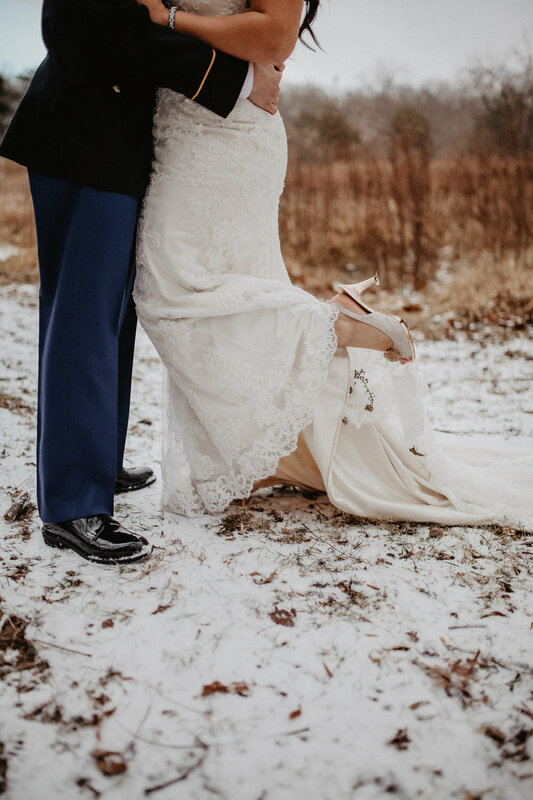 We immediately wanted a way to repay this brave man that is so willingly serving his country, and what better way than making ourselves available to capture their wedding day!? The whole evening was the definition of dreamy. 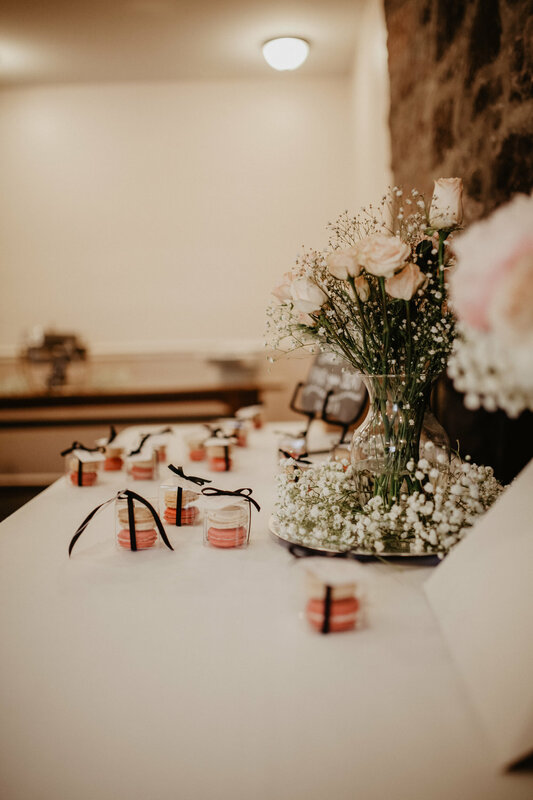 There was a fresh dusting of snow from that morning, Eric in his uniform, Annika beaming all sorts of radiance, cozy candles in the most adorable little stone venue, and really sweet guests made these the best last few hours of 2017. Mr. + Mrs. Rodriguez, thank you again for your service to this country, and thank you for letting us be a part of your day.